No matter what you're doing, it's always important to cover the basics - especially when it comes to your health. 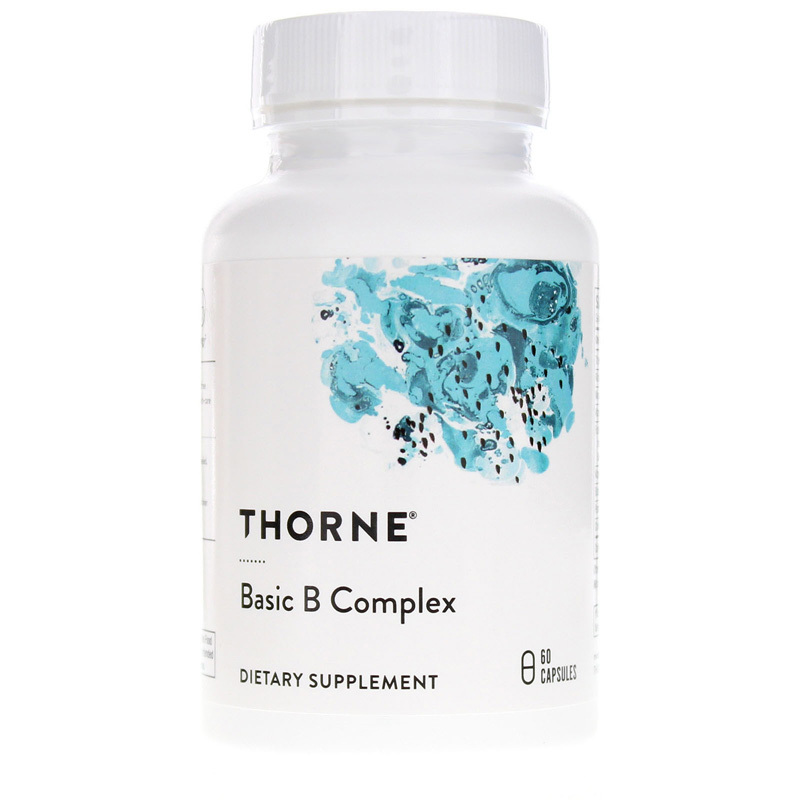 Make sure you're getting the B vitamins your body needs with Basic B-Complex by Thorne Research. 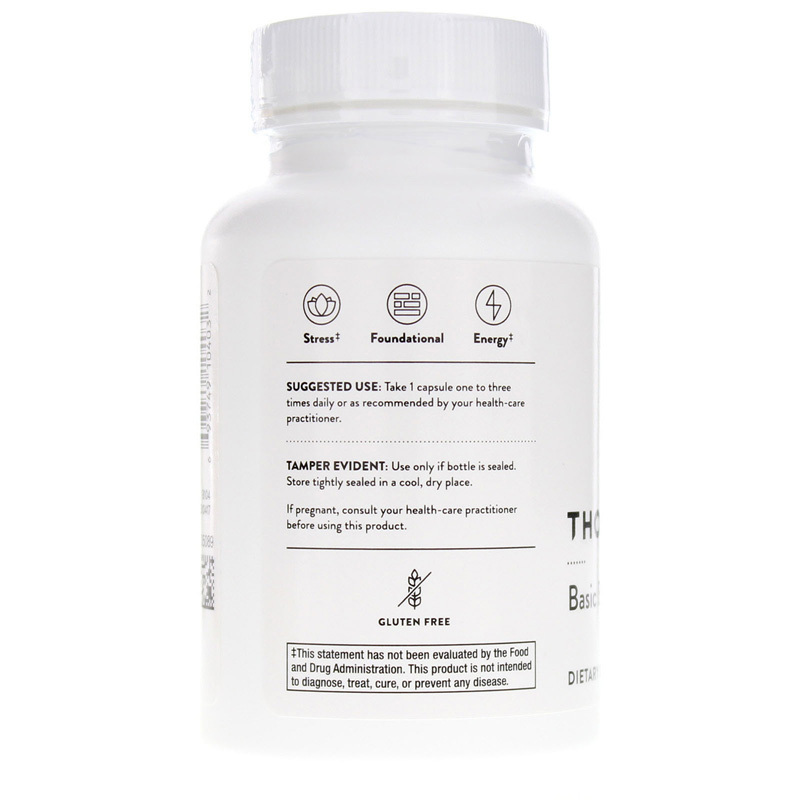 Basic B-Complex is a comprehensive blend of all the B vitamins, including activated forms of B2, B6, folic acid, B12, and choline. There are eight distinct forms of vitamin B, but they frequently work together, making each one essential to optimal health. Because B vitamins are water soluble, the body is unable to store them and you must regularly restore your body's levels to keep important functions running smoothly. 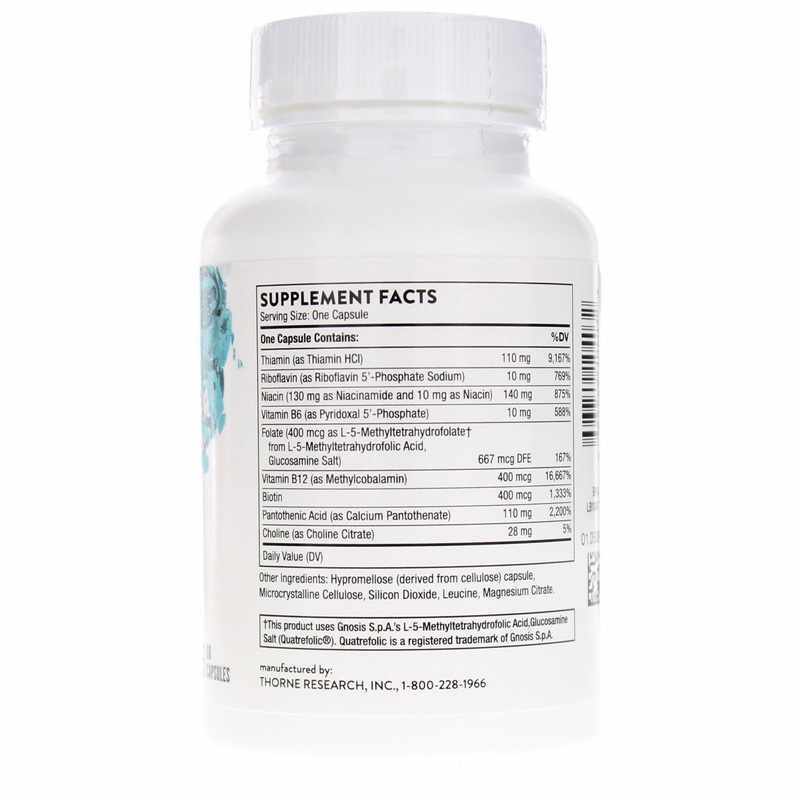 Supplementing with a quality B-complex is an excellent way to make sure you have the vitamins you need. It's especially important for individuals on a restricted diet or for those who have a condition that inhibits nutrient production and use. Using the active forms of vitamins, Basic B-Complex provides extremely bioavailable nutrition that's highly usable even for those with absorbency difficulties. And with no flowing agents, preservative, magnesium stearate, lubricants, or diluents, it's ideal for practically anyone. So take care of the basics and your health and order Basic B-Complex. My go-to place for supplements because of the quality supplements, free shipping and fast turnaround.